my san diego trip was awesome. short but so, so awesome. shot amazing families and was able to spend some time with great friends. both families i photographed have incredible stories, which i was going to write about below, but i think i'll highlight them in their own blog posts this coming week. when i walked into the C family's home, for their session, i immediately noticed a book, standing tall and beautifully displayed on their bookshelf--you can find inspiration in everything, by paul smith. of course, i was immediately drawn to the title and the cover is pretty delightful looking too. what a glorious, thoughtful gift. i put it in my backpack and read it the entire flight home. i'm now halfway through and it's an awesome book. i absolutely love it! 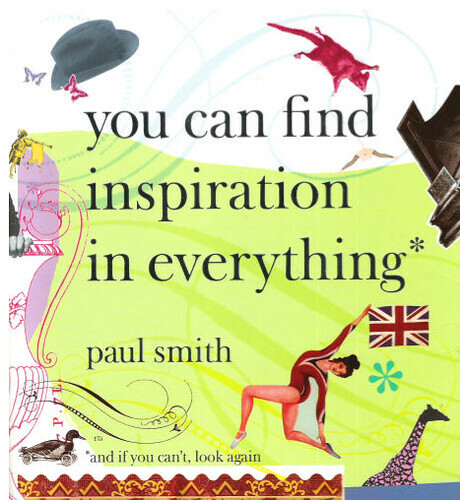 paul smith is an extremely successful fashion designer and photography hobbyist in england. he shares his journey and life insights throughout the book. here's just a few things that he's shared, which i love: i love life. i feel very privileged. i sometimes think i'm going to step into the street and get hit by a bus because i've had so many brilliant days for so long. i think: "why have i been so lucky?" i never assume anything. i never assume that i'm always going to be healthy, or happy, or that business is always going to be successful. those things keep me grounded. over the years so many designers who are better than me have come and gone. i think what i have, and what they didn't have, was the ability to turn ideas into marketable ideas. i don't think i'm an exceptional designer. i think i've always been consistently good, which i feel is an achievement. i'd really just like to be remembered as a nice bloke. it's very easy to think you've made it; i'm doing very well--my business has a turnover of about 315 million pounds--but i don't consider that i can ease off. i'm still happy to work very hard because i love it and because in this game you have never made it. you have to keep your sense of self or else there's little point in carrying on. i'm not motivated by power or money. what i am motivated by is just a brilliant day. every day. along with being a good read, he shares magical bits of goodness and there's even some cool photography. so thank you C family...from the bottom of my heart, i thank you! a treasured gift indeed, which proudly graces my living room coffee table. chase the vision, not the money. make sure that your business has a greater purpose beyond the bottom line. figure out what you'd be so passionate about doing that you'd be happy doing it for 10 years even if you made no money from it. and then go do it. the ironic thing is that if you are actually chasing the vision and not the money, the money will follow because your customers and employees will be able to sense your passion, and they will want to help you succeed. the words were from tony hsieh, founder of zappos, when he was asked, what is the best advice you can give a new entrepreneur? OH MY GOSH! how this speaks to me. his words are so true and powerful. discover your passion and go for it. love what you're doing. be happy. have a greater purpose. and you will never look back.